The below steps will explain how to choose a towel rail for your bathroom. Once you have checked our recommended steps then feel free to browse our range and select the rail that fits your taste. The likely hood that a towel warmer will be able to replace a panel radiator is minimal. 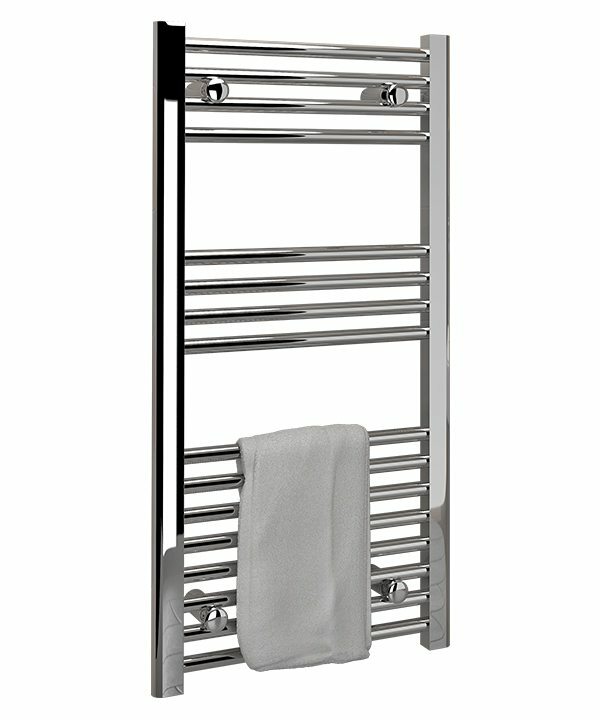 Therefore, towel warmers are not recommended to be used as space heaters for bathrooms where heat requirement is high. The recommended route is to calculate the total heat requirement for your bathroom then subtract the output of any existing space heaters then you can see if a Towel Rail will be able to complement and cover for any deficits. Depending on the style of your bathroom you can choose between the different types of towel rails available in the market. We have listed some of the most popular styles for you to choose from. 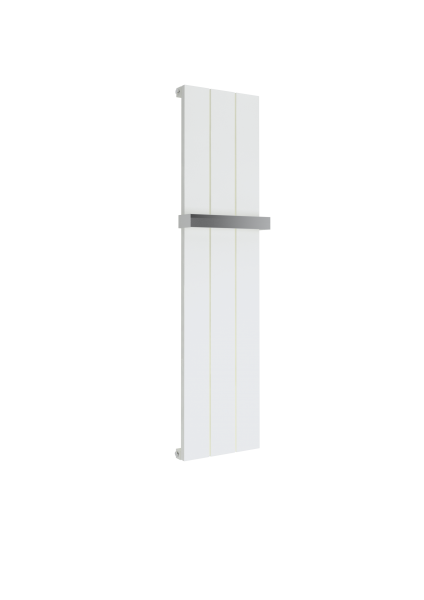 Standard Towel Rails are ladder style towel warmers with vertical collectors and horizontal bars which serve for you to hang and dry your towels. 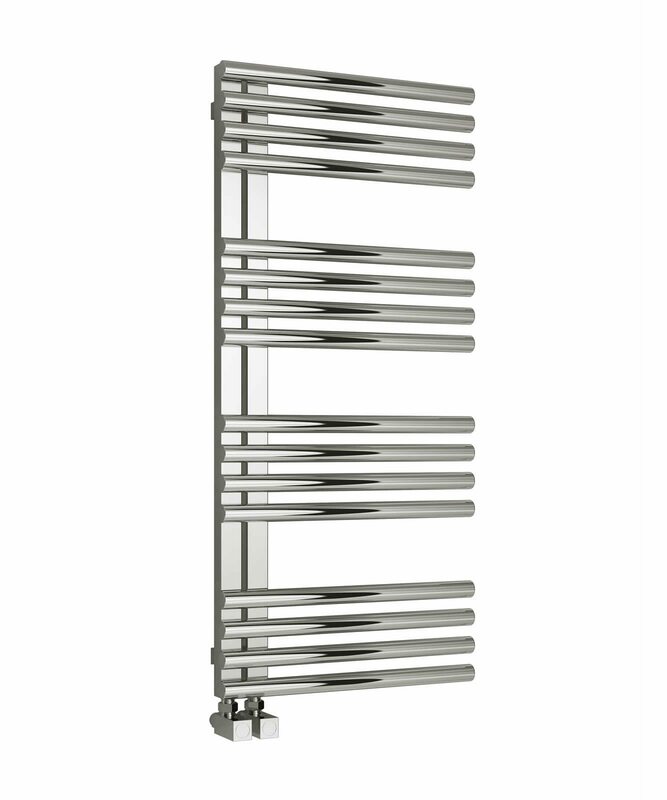 Straight Towel Rails protrude less into your bathroom whilst Curved versions allow some extra room for the towels. 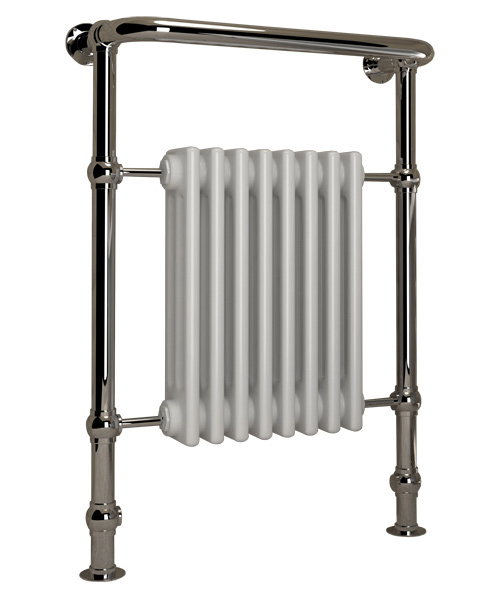 Chrome Towel Rails will most likely match better the finish of the brassware of your bathroom; however White coated versions have higher outputs, usually about a 30% higher. This is because powder coating transmits heat better than chrome plating. Depending on whether you are replacing an old towel rail or doing a new installation you might be restricted by the width of any existing pipework. The most common widths for towel rails are 400, 500 & 600mm and the most common heights are 700, 800, 1200, 1500 & 1800mm. You can filter the sizes that match your requirements by using the filters on the left bar of our shop. If there are no size restrictions you may use a Heat Output Calculator to find out which size can be closer to what you require. As mentioned before that towel warmers are not meant to be the primary heat source of heat for bathrooms where a vast amount of heating is required.